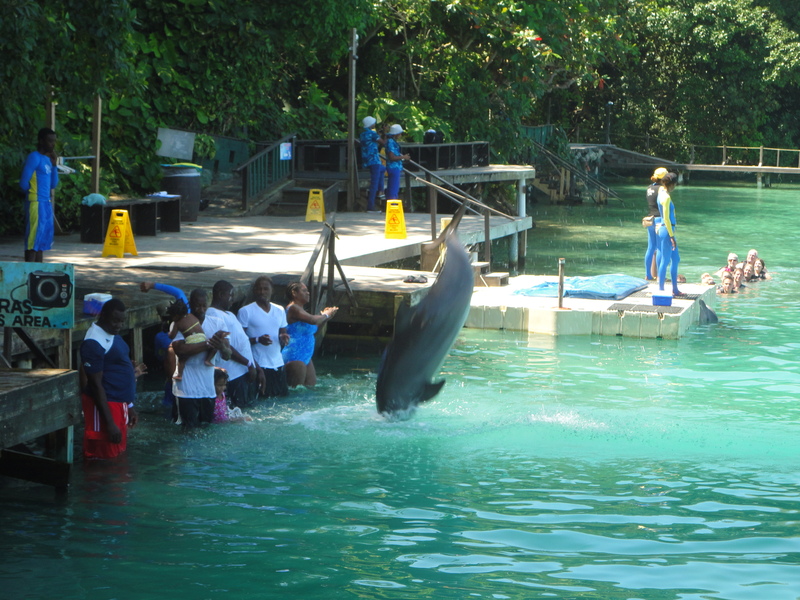 I have gotten a few emails in the past about where in Jamaica can you swim with Dolphins. 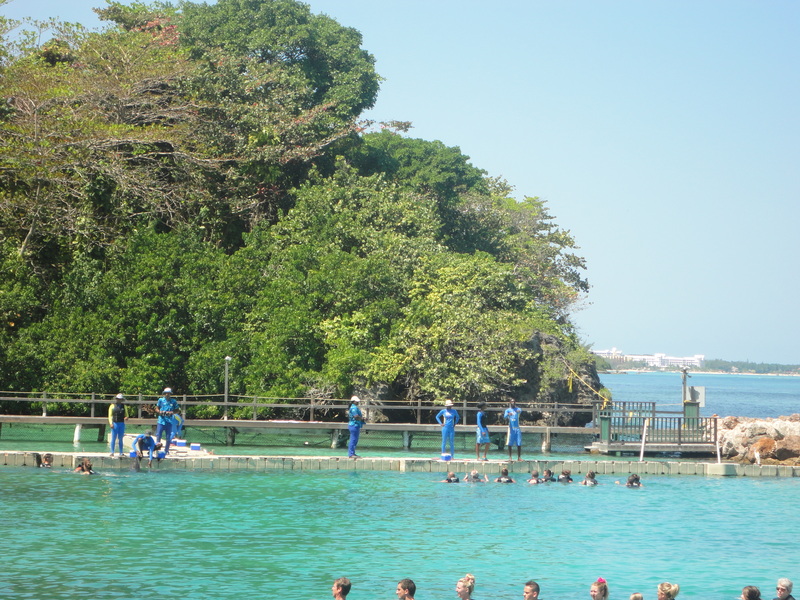 Although the persons that were inquiring were more interested with swimming in the open seas with them rather than in a contained environment, I have always directed them to Dolphin Cove. As much as I am an adventure seeker swimming with Dolphins have never been high on my travel agenda but I have come across a few people who thought it was a dream come true and according to Dolphin Cove’s website , it’s an activity that is one of the top ten items on people’s bucket list. One of my most memorable travel experiences was sailing from Montego Bay to Negril and somewhere off the coast of Negril seeing Dolphins in the wild jumping alongside our boat with the backdrop of a sunset emblazoned sky. That was the first and only time I had ever seen dolphin’s until my visit to Dolphin Cove which was facilitated by the wonderful team of Leisure for Pleasure Holidays & Tours Ltd .
Whilst I did not do the Ultimate Swim or the Dolphin encounter, I was able to enjoy the show with the super intelligent mammals showing off and performing tricks for the crowd knowing their handlers would reward them with treats. Although the Dolphin’s are definitely the star of the attraction , it must be noted that there are other activities there to enjoy. There is also a sting ray and shark show and you may see a one legged Pirate (eye patch and all) teetering around their Pirate Village . Visitors also have the options of Kayaking, Snorkeling or exploring the Jungle Trail with exotic birds , snakes and the almost extinct iguanas. You can also choose to just go at your own pace and lay on the beach with a cold beverage. I must admit that the attraction is not cheap but I imagine maintaining the animals and feeding Dolphin’s is not either. It’s not an everyday kind of hangout but one that is very family oriented and that will help you tick off a few experiences off your bucket and travel lists. Previous Previous post: Working, Touring , Tweaking (Not Twerking) but I’m Back! Next Next post: Choose to Do Nothing in Bluefields ,Westmoreland.